Hey Enter Shaolin family we are closing in on the end of the month which means we are getting ready to have another Webinar tomorrow. More on that in a minute. First just to keep you in the loop Jamie has been being tweaking the affiliate program that’s almost ready to go. Where excited to be able to release that to you soon. We got the patch we needed from the developers and Jamie is making sure everything is in working order. She said she will burn the midnight oil if she has too. In this weeks new videos, we focused on getting more C.O.R.E. Training for you. We wanted to make sure that you have plenty of exercises to work on. C.O.R.E. Training should be part of your weekly training. 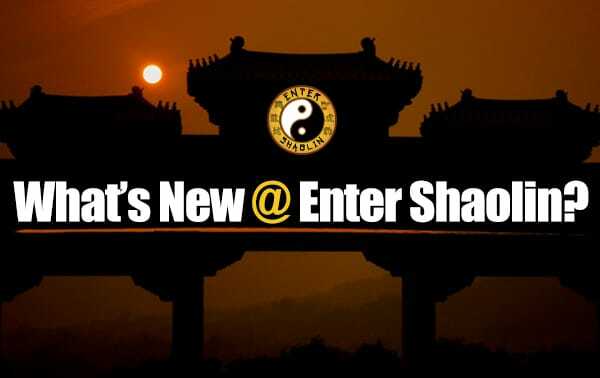 It doesn’t matter where you start in Enter Shaolin always mix in some C.O.R.E. Training to maximize your training results. We added a new module to the ground fighting section. Were not just going to teach you ground fighting we are also going to teach you anti – grappling techniques. For those of you who just joined our martial arts family. We do our best to release 4 to 5 new videos every week. If you need any support don’t hesitate to contact us. We will do our best to get back to you as soon as possible. Tomorrow’s webinar is on the Shaolin 5 Animals. We would love for you to attend live with us. So we can answer your questions in real time. We only leave them up for the public for about 5 days and then we pull down the videos. We put all our webinar replays in your training area under the NDN seminar section.